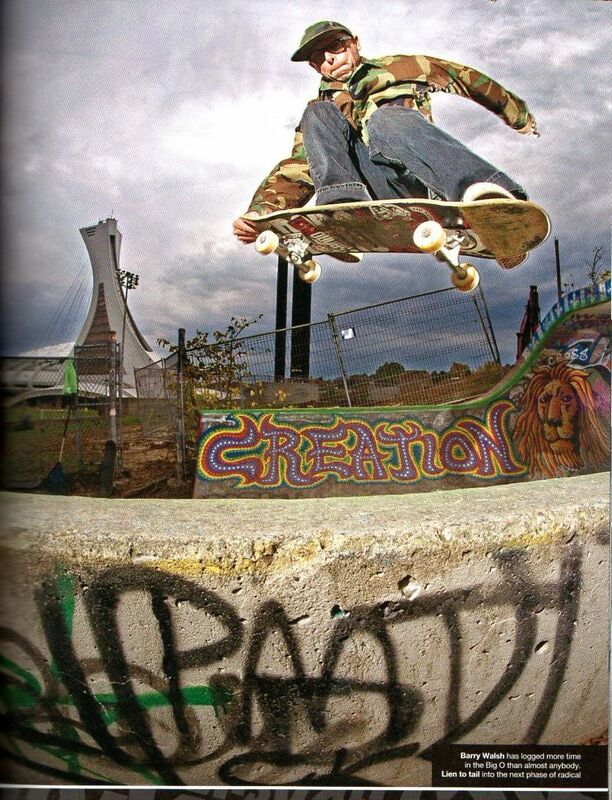 My good friend Barry Walsh just got a full page picture in the latest Thrasher Magazine. It is in a 2 page article about the move of the Big O pipe. Behind him we can see the spray paint piece I did for Creation Skateboards. Its funny, cause it is exactly 5 years from the 2 page article I got on my art in Thrasher. Pretty stoked to be in it again.